Christmas trees are the central part of seasonal decorating. So how can you celebrate the season without one. Here's some creative ideas. 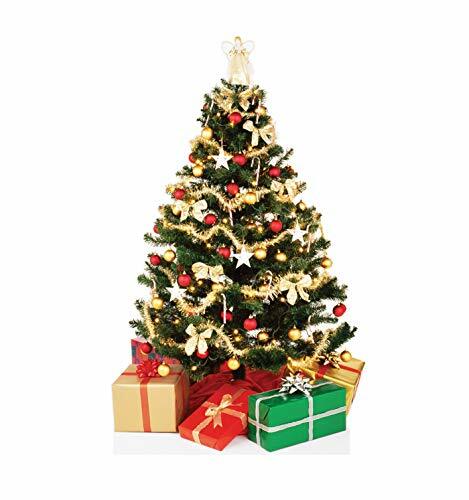 Christmas trees are the traditional focus of decorating for the festive season. But for many reasons they may not be right for every person or family. This can make it hard because the Christmas tree has been the focus for so long. This can leave you without alternative ideas of how to decorate for Christmas without a Christmas tree. Really decorating for Christmas without a traditional tree should only be limited by your imagination. The need to create something that is better suited for you during the holiday season is another driving force. These are a few ideas based upon traditional decorating ideas so you don't lose that classic Christmas feel. Garlands are a great alternative to a Christmas tree. This is because they're one of the best ways to bring a traditional Christmas feel into your home without a tree. Why? Many garlands are still based upon the tradition of fir trees or other Christmas plants. This lets you keep a traditional decorating style without having to have a tree. 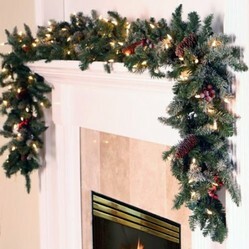 Garlands can be draped around a fireplace mantle (if you have one). But they can also be used to decorate other areas in your home too. Anywhere from door frames, table tops, book shelves or staircases. It's all a matter of matching the size and style of garland with how you wish to use it. 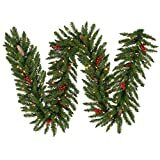 Christmas wreaths are another traditional idea. Although I like garlands better because they can be used in more ways and places than a wreath. 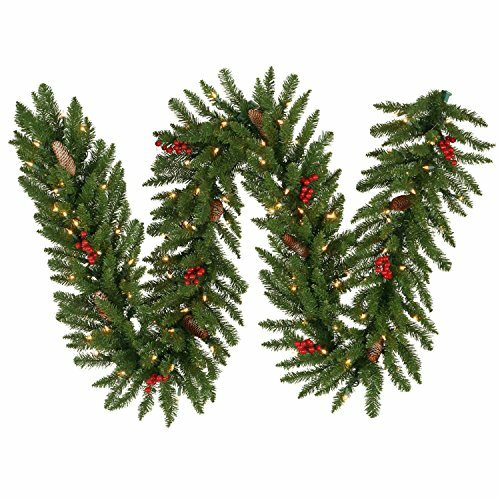 But wreaths still have a wonderful classic feel to them regardless of what style they're in. My family has often used a miniature Christmas tree centerpiece when we've not had a tree. Using a table centerpiece is an easy way to add a Christmas tree to your home without actually needing to have a full sized tree. 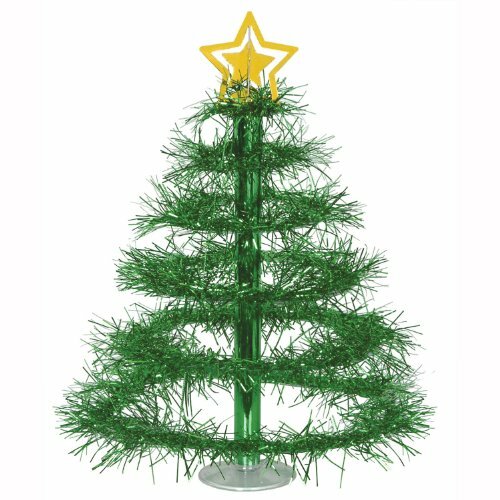 This type of tree is also one of the easiest to store for next year's Christmas celebrations. 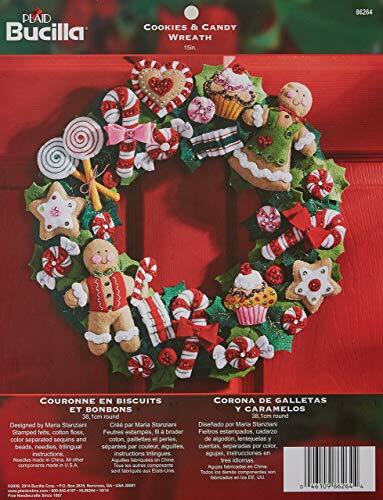 You can get a lot of Christmas centerpieces at Amazon in both traditional and modern styles. I like this rather modern styled Christmas tree the best. It has a nice mix of the classic and new. So this is a good idea if you want an easy way to have a Christmas tree in your home this season - and don't mind if it's small. Wall stickers have become a popular and easy way to decorate a home. Many families use them to decorate a child's room or nursery. You can also get Christmas themed stickers that are easy to put up. They're also easy to get off the wall once Christmas is over. 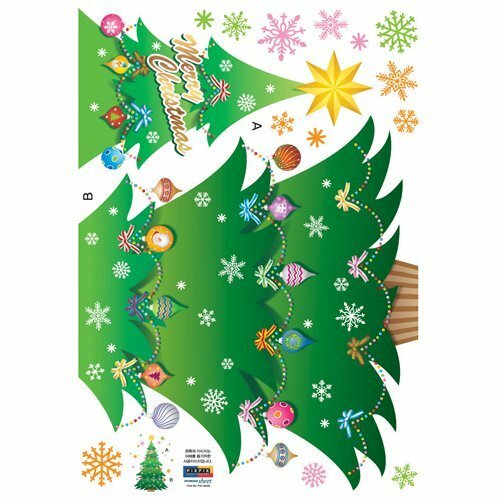 These sticker Christmas trees are a great idea if you would really like to have a full sized Christmas tree but can't. These don't take up any space. You just need a wall to apply them to. So they're a great idea for small spaces. Like most of these decorating ideas they're also a lot cheaper then decorating a real Christmas tree. Another way to get a Christmas tree into a home that doesn't have much space is to use a poster. Posters are quicker to set up and take down than stickers. 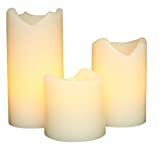 They're also an inexpensive way to get a traditional look at home for Christmas. You can make your own Christmas tree out of Christmas LED lights for a great and modern decorating look. This isn't hard to do either. 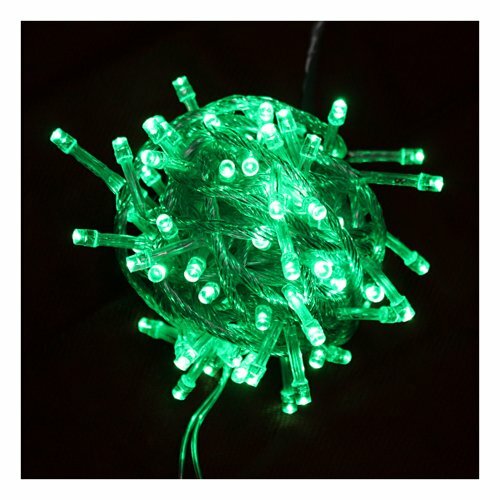 You just need to string the LED lights on a wall in the shape of a Christmas tree. There's also no right or wrong way to design your tree. It's your tree so you can create the look you like. This idea is a bit fiddly to create. But the look is impressive at night. If you want something that looks good during the daylight hours too you might want to use or add something else to your decorating palette. Another excellent idea is to use the Christmas ornaments you already have. But without putting them on a tree. There are lots of ways you can do this. From stringing them up on a bookcase or across a doorway. 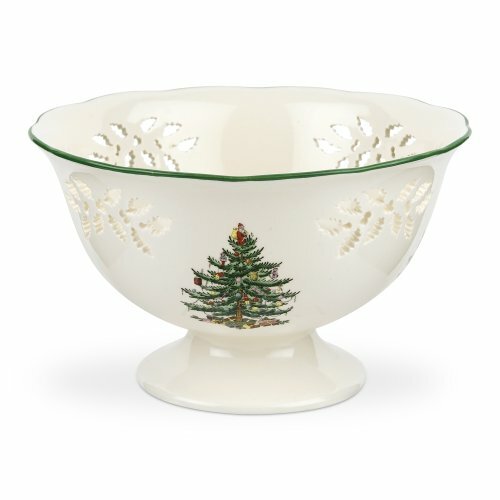 You can also put your ornaments into a nice Christmas themed bowl. This can then be used as a table centerpiece. This is a fabulous idea if you have cherished ornaments you would like to use. Featuring them in this way lets you have this sentimental aspect of Christmas without needing to have the whole tree. 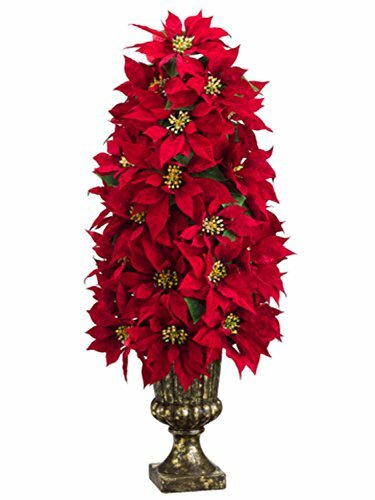 Poinsettia is classic Christmas plant you can use instead of a Christmas tree. This poinsettia topiary in an antiqued gold pot grabbed my attention because it's artificial (so you can use it for other Christmases). It also has a great classic feel to it that's strong enough to "fill in" for a bigger Christmas tree. 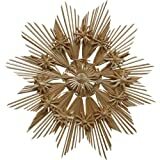 Amazon has lots of poinsettia themed decorations though so you can find something that's in a style and price range you like. Now if poinsettia isn't your style there are other traditional Christmas plants you can use (real or artificial). Choices include holly, fir (pine) cones and red roses. Yes red roses. These considered to be a holy plant for Christmas time because they're a symbol of love and being pure of heart. You can get a Christmas feel into your home simply by using classic symbols of the season too. 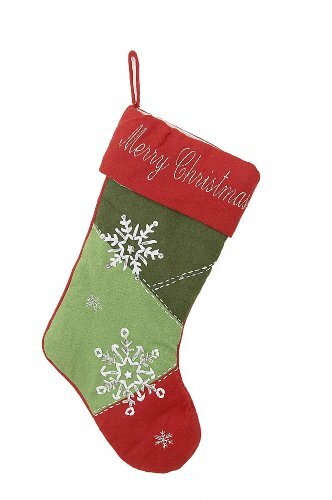 These include Christmas stockings - which are easy to hang up. Other traditional symbols include straw stars, angels and candles (you can get glowing candles without flames for safety). Traditional Christmas balls (baubles) can also be used for decoration without hanging them on a tree. To do this well enough to replace a Christmas tree you just need to pick the symbols that mean Christmas to you. Everyone has their own memories and thoughts about what Christmas means to them. This can give you lots of ideas about how to decorate for Christmas without a Christmas tree. Christmas Straw Ornament - 11"
If you're wanting something to symbolize Christmas, but with a Christian theme, try a nativity scene. Amazon has a wide selection of these. This Willow Tree set was the one that I like best though. It has a wonderful traditional feel to it yet it also feels modern in it's style. I think this is because of it's simplicity, natural colors, traditional theme but final streamlined look. 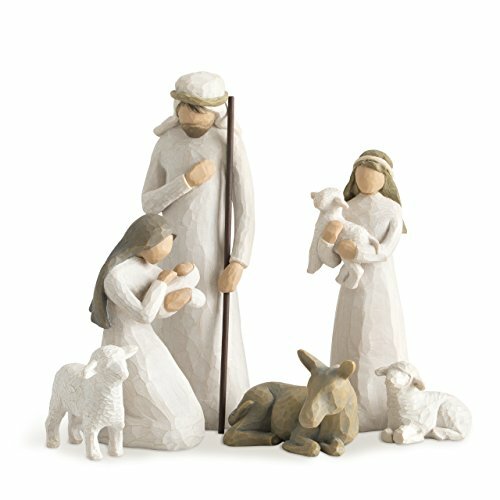 The set also has lots of great add-on pieces too so you can personalize your nativity look. I was "stuck." Thank you so much for the ideas.